Security, Control & Savings for your business! 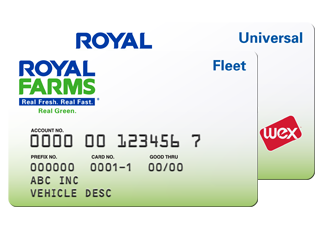 Unique driver identification numbers help prevent unauthorized fueling while reports automatically flag trouble areas, helping you cut down on abuse. You'lll know where and when every purchase is made and by which driver. You can also set online purchase controls to limit unauthorized spending. Friendly, trained representatives are available - 24 hours a day, 7 days a week - to assist drivers and managers with questions. 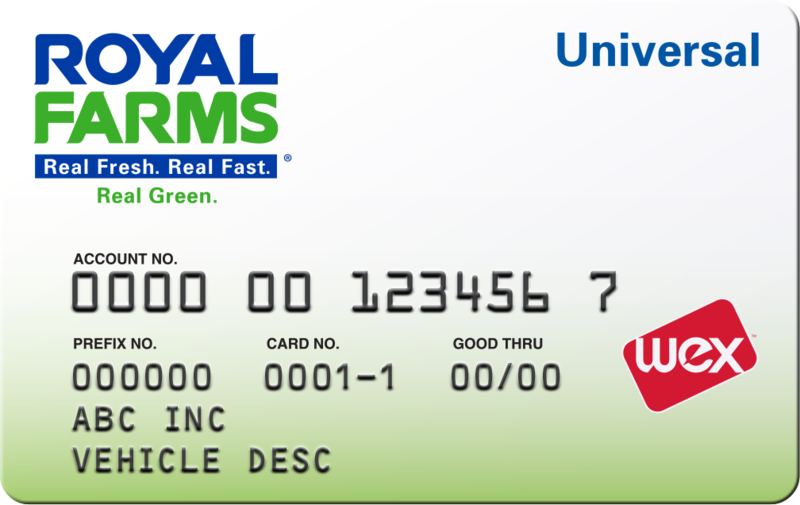 The Royal Farms Universal Card program is accepted at 160 Royal Farms locations throughout Maryland, Delaware, Virginia, and Pennsylvania. Plus, additional acceptance at more than 90% of U.S. retail locations. 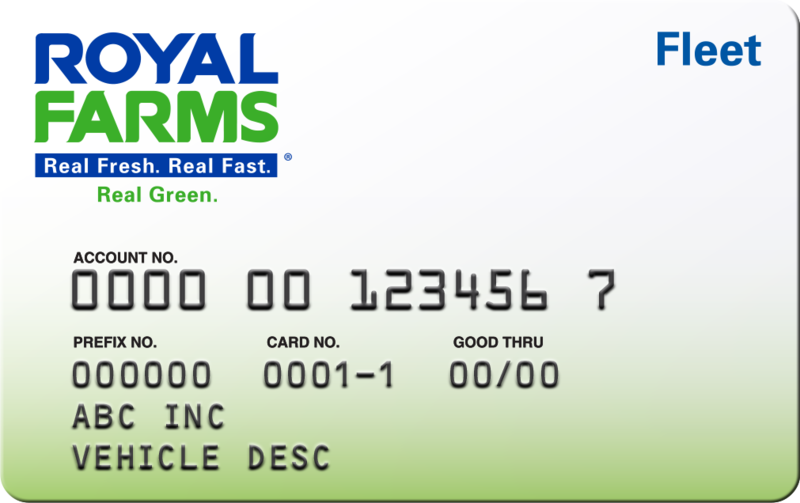 Please Note - Specific Companies and/or Banks may issue their own limits per card/user. The lowest limit trumps all.